The art of mixology has exploded in Greece over the last decade, with Athens having been lauded for having at least two of the world’s top 50 bars. As a result, the world of Greek alcoholic beverages, from the grape distillate tsipouro, to ouzo, to regional specialties and fruit-based liqueurs, have all found new life inside a tumbler! Here’s a humble addition to the world of Greek cocktails, a Hellenized version of everyone’s favourite brunch quaff, the mimosa. Pour a shot – 1 ounce -- of chilled Greek tsipouro, or grape distillate, into a tumbler. Add half an ounce of chilled cinnamon flavored simple syrup and and half an ounce of fresh lemon strained juice. Shake it up. 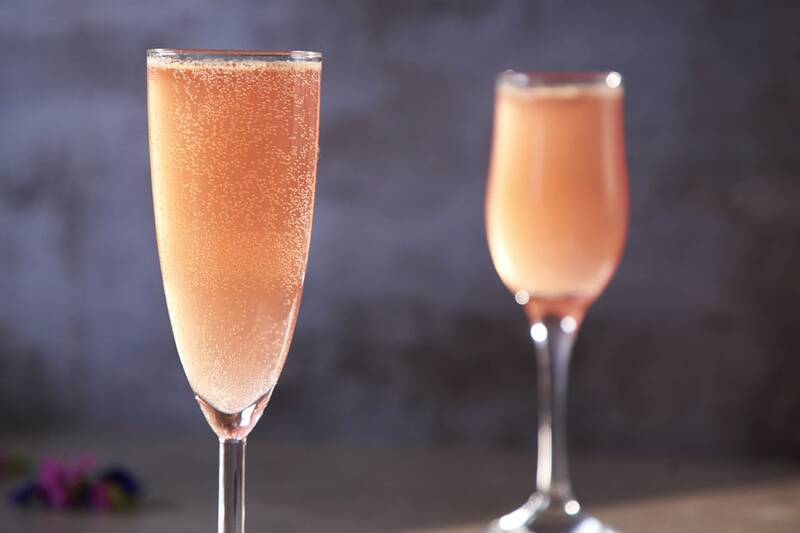 Pour into a champagne flute and add chilled Greek rose sparkling wine.